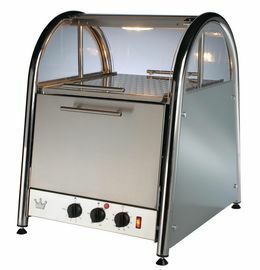 Easy clean stainless steel oven interior. 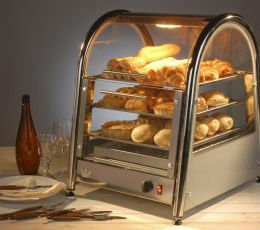 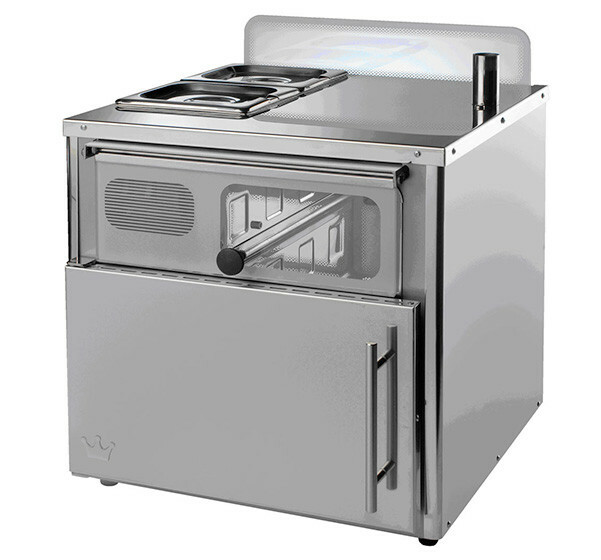 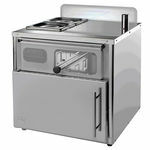 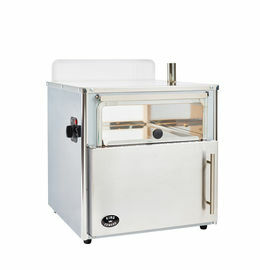 A potato baker with sleek clean lines and a built-in bain marie, the Vista Compact is perfect for venues looking for practicality and high performance. 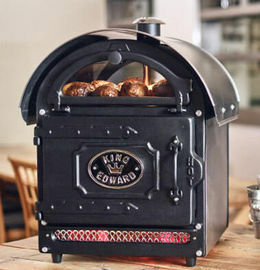 This unit will cook 25 potatoes quickly and efficiently and then give you room to store, display and serve them with hot toppings. 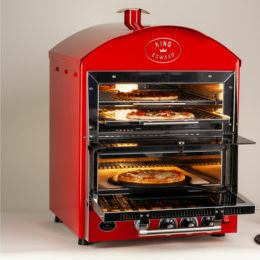 Its powerful and adjustable convection oven means the Vista Compact can also cook anything else you might need too.